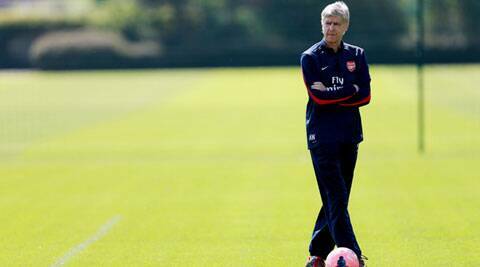 Wenger had delayed putting pen to paper on a new contract, despite stating publicly that he was planning to stay. The Premier League’s longest-serving current manager Arsene Wenger will stay at Arsenal into a third decade after signing a three-year contract extension that will keep him at the Emirates Stadium until 2017, the Premier League club said on Friday. “Wenger has been with Arsenal for 17 years, making him the longest-serving and most successful manager in the history of the club,” the north London side said in a statement. The 64-year-old Frenchman has led Arsenal to three Premier League titles and five FA Cups since joining from Japanese club Nagoya Grampus Eight 18 years ago but this month’s 3-2 FA Cup final win over Hull City was their first silverware since 2005. Wenger had delayed putting pen to paper on a new contract, despite stating publicly that he was planning to stay at the London club. “I want to stay and to continue to develop the team and the club,” Wenger said. “We are entering a very exciting period. We have a strong squad, financial stability and huge support around the world. We are all determined to bring more success to this club. “The club has always shown faith in me and I’m very grateful for that. We have gone through fantastic periods and also periods where we have had to stick together. Arsenal led the Premier League for much of last season before fading to fourth, good enough to secure Champions League football for a 17th successive year. “Sustained excellence is the hardest thing to achieve in sport and the fact Arsenal has competed at the top of the game in England and Europe throughout the time Arsene has been manager, is the ultimate testimony to his consistency of performance, talent and ambition,” Arsenal’s majority shareholder Stan Kroenke said. A virtual unknown when he joined the club in October 1996, Wenger, dubbed The Professor, oversaw a revolution in the way Arsenal played and led them to league and cup doubles in 1997-98 and 2001-02. Three more trophies followed in the next three seasons, including the 2003-04 title as Arsenal became the first side to go through a Premier League season without defeat. After FA Cup glory in 2005 and a Champions League final appearance the following year, financial constraints imposed by the club’s move from Highbury to the Emirates Stadium meant Arsenal were unable to match the high transfer fees and big wages offered by Chelsea and Manchester City. Champions League qualification became the major target as leading players such as Thierry Henry, Cesc Fabregas, Robin van Persie and Samir Nasri left the club. After years of relative austerity Wenger finally splashed out on German playmaker Mesut Ozil from Real Madrid last season, with reports suggesting he was awaiting assurances over the size of his transfer kitty before committing to a new contract. Having overseen the arrival of Patrick Vieira and Henry early in his time at Arsenal, Wenger can point to the emergence of young British talent in Jack Wilshere, Theo Walcott and Aaron Ramsey as proof of his player development abilities. The supporters, however, are still crying out for significant investment to boost hopes of league success. Wenger’s 1000th match in charge of the Gunners ended in a 6-0 humiliation by Chelsea in March, but Arsenal managed to withstand a challenge from Everton for fourth spot to ensure their participation in Europe’s elite club competition was guaranteed for another season.